There is a chance you made a New Year’s Resolution to eat more mindfully or with a healthy focus. Or maybe you are a vegan or have a gluten intolerance and find dining out a frustrating experience. Regardless of your path, if you are looking for the most alternative way to dine in Columbus, Portia’s has you covered. The street address is a little less than ideal but the location is well suited for the mission of the cafe. 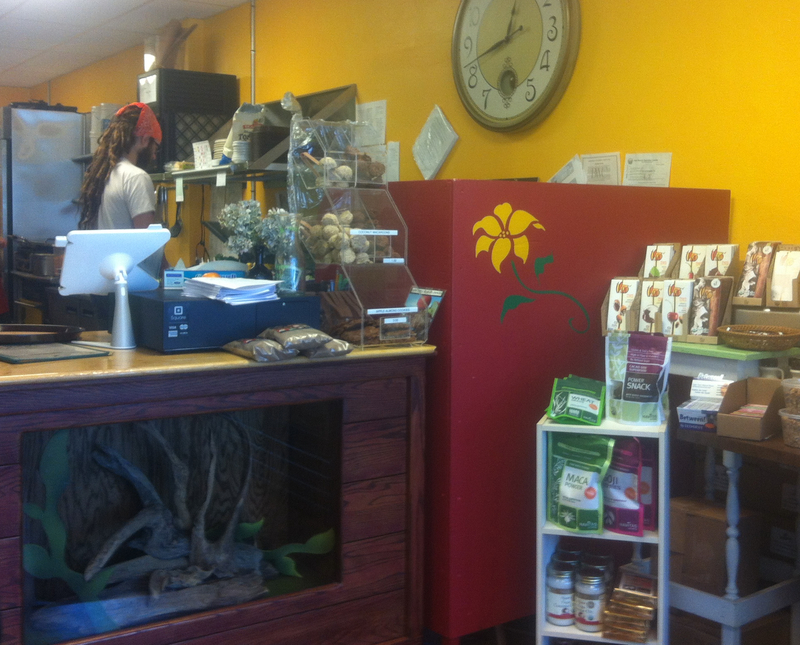 Clintonville is home to the oldest Vegetarian restaurant in the city, Whole World Natural Bakery and Restaurant. If there would ever be a community that would and could embrace Portia’s it would be Clintonville. With the exception of honey most Vegans would find that cafe would find acceptable. The ingredients used are largely organic, generally free of gluten and GMO’s (genetically modified organisms). 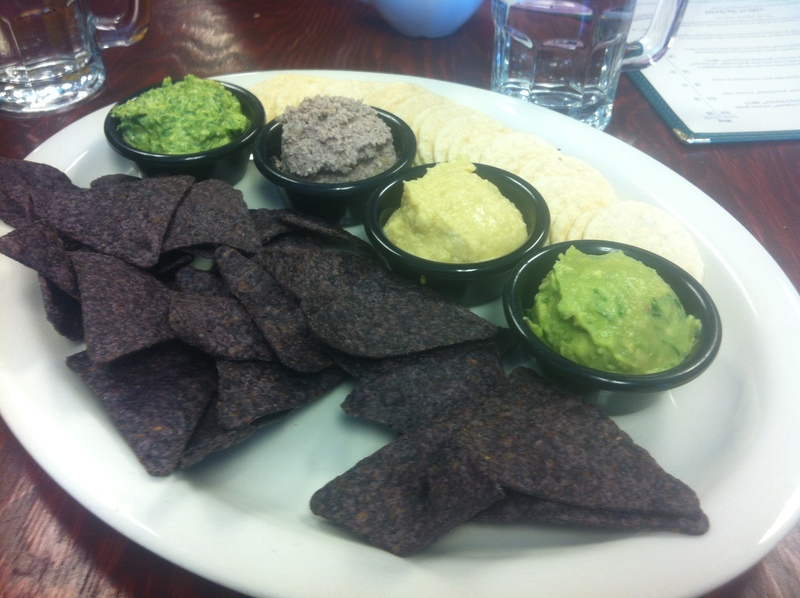 The Cafe has assembled a menu that is accessible for carnivores and raw foods fans alike. Now at this point, I think some of you may be a little intimidated and wondering how you would fit in eating all of this “weird food”. Well, if you had to pick a place for your first foray off the eaten path, than Portia’s is the place to dine. The staff are friendly and knowledgable and answer inquiries in a way that you know there really are no dumb questions. Even the menu is helpful, with instructions on how to eat a lettuce wrap. Another example of the philosophy of Portia’s is the approach to ice. Water is served but ice is only added on request (a good bartender or foodie will tell you some of the possible health issues related to ice makers). As for the food some of what I tried was really good and some was average. Nothing tasted like leaves and twigs which for many would be a surprise but hopefully this will give some the courage to try Portia’s as their gateway meal to healthy eating. For your first bite, I would suggest the appetizer sampler which will allow you to choose a selection of small bites to try out before you move forward in the menu. This entry was posted on January 10, 2014 at 2:05 PM	and is filed under Clintonville, restaurants, Vegetarian Friendly. Tagged: Portia's Cafe. You can follow any responses to this entry through the RSS 2.0 feed. You can leave a response, or trackback from your own site.